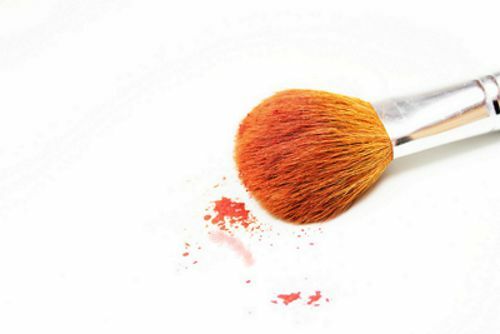 Hypoallergenic makeup is supposed to be the safe bet for people with sensitive skin. You’ll find the label on a lot of cosmetic products. What Does 'Hypoallergenic' Really Mean? The term “hypoallergenic’, is just like “organic” or “natural”. Now- it's close to impossible to create a product that is guaranteed not to cause an allergic reaction. Too many people are allergic to too many different things. However, companies convey their efforts(real or made-up...) to keep the product free from common irritating ingredients by labeling it hypoallergenic. Bottom Line: It means nothing. You can read more about the regulation of the term on the FDA stance on hypoallergenic makeup labeling. To really lessen your chances of irritation, rather go beyond the label. When you’re trying to find the source of skin irritation, you should also take a look at the tools you’re using. Are they really clean? Or are you using natural brushes that are irritating your skin? Rule this out by applying your makeup with clean fingers first. 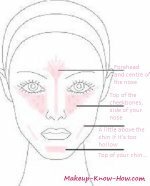 To really know if what you need is hypoallergenic makeup, rule out makeup that has gone bad first. There are a few ingredients present in most makeup formulations that are know to irritate sensitive skin. The most common irritants come in the form of fragrance, alcohol, preservatives, and dyes. So you want your hypoallergenic makeup to be fragrance free, alcohol free, either preservative free(which means they're in powder form) or void of common irritant preservatives, and with non irritant dyes. There are a whole host of ingredients that can also be added to your products, that are beyond the scope of this article. Firstly, sometimes products are labelled "fragrance free" or "unscented". This might just mean that they have no smell. How do they have no smell? They may have had a fragrance added that masks the odor coming from other ingredients. Alcohol can make products a little thinner and help them penetrate the skin. There are good and bad alcohols. The latter being our good ol' alcohol friend, that's always causing problems no matter how it enters your life:)! Exfoliation can irritate skin because it encourages the sloughing off of dead skin. Too much exfoliation can also be a form irritation. Your skin cells may just be crying out for a break. Antioxidants are meant to interact with your skin in a way that catches unstable molecules and making them stable. So this could also irritate skin that is sensitive. The list is not exhaustive, because skin conditions are so different. So the best way to test products for irritation, is really just to go to the store, and try them on… do a patch test, and see how your skin reacts after a few(ideally 24 to 48) hours.